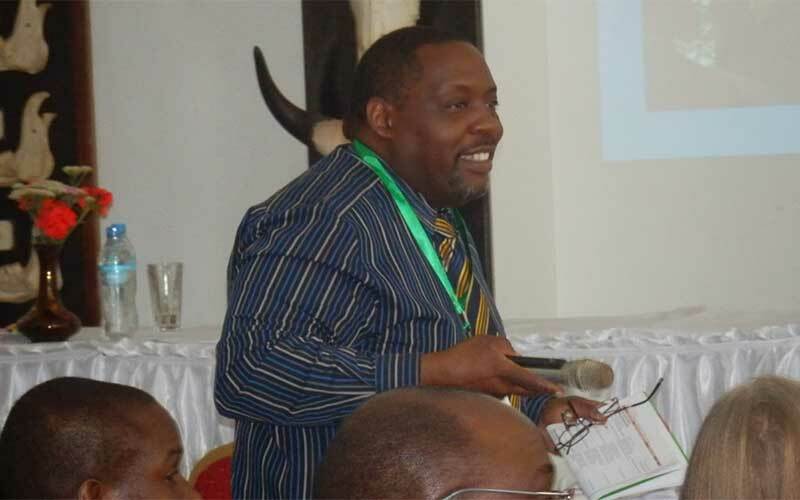 TanzaniaInvest interviewed Dr. Freddy Manongi, Conservator of the Ngorongoro Conservation Area Authority (NCAA), in charge of administering this UNESCO World Heritage Site located in the Crater Highlands area of Tanzania. Manongi and TanzaniaInvest discuss tourism development strategy at Ngorongoro and the investments opportunities still available. TanzaniaInvest: What makes safari tourism in Tanzania unique and why is it so special in Ngorongoro? Freddy Manongi: The Serengeti, the greater migration, Ngorongoro are incomparable to any natural setting in the world. The amount of wildlife seen in Tanzania cannot be compared to any other country in the world. Also the landscape and the geologic features that you find in Tanzania are phenomenal. In geo tourism The Ngorongoro crater itself is outstanding, but we also have cultural heritage, and we have fossil age tourism or cultural tourism. That again is fantastic. 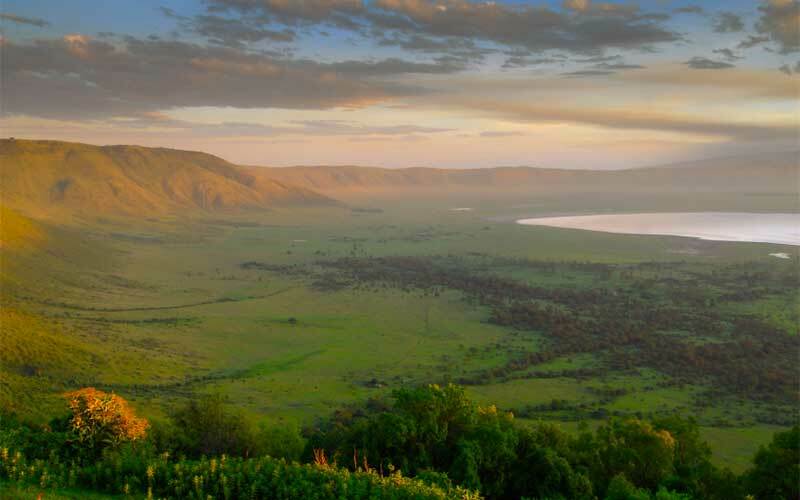 In terms of geologic feature and attractiveness, Ngorongoro is the world’s largest unbroken caldera in the world, which has outstanding universal value. In terms of wildlife the area contains over many species of large animals including visible population of black rhinoceros. The crater also has the densest known population of lions. Higher up, in the rainforests of the crater rim, are leopards, elephants, mountain reedbucks, buffalos, spotted hyenas, jackals, rare wild dogs, cheetahs, and other felines. Over 500 species of bird have been recorded within the NCA. These include ostrich, white pelican, and flamingo, with East Africa’s major breeding ground. But in Ngorongoro we also have cultural sites, like Oldupai Gorge, one of the most important paleoanthropological sites in the world, where more studies for human evolution have been carried than any other site in the world. We also have Laetoli with earliest evidence of bipedalism with hominid footprints preserved in volcanic rock 3.6 millions years old and represent some of the earliest signs of mankind in the world. We have very good evidence of footprints up to 4.5 metres long, and that make Laetoli an outstanding cultural heritage site. Because of those comparative advantages that we should focus on promotion of sustainable tourism, protecting our natural, cultural and geologic resources and manage them in a sustainable manner. TI: What is the profile in investment you are looking to further attract at Ngorongoro? FM: First of all before we have to understand, why do we need investment in tourism in Ngorongoro? The number one reason is that Ngorongoro Conservation Area Authority (NCAA) requires funds to achieve its goals. The law that established Ngorongoro requires the Authority to protect wildlife and natural resources but also to promote the interests of the local people. All those needs funding, if without it there’s no way we could promote the interest of the local people, and protect the natural resources. At the moment the challenge is poaching, but it does but in small scale compared to areas outside Ngorongoro but again we need funding to tackles this. The demands from communities within Ngorongoro are massive with more than 90,000 living inside. Communities require a lot of support in terms of food security, education, infrastructure development and maintenance. So in order to generate revenues for conservation and community development we need investments since the only source of revenue for now is tourism. TI: Tanzania’s Norther Safari Circuit is said to be reaching saturation. What are the opportunities in Nogorongoro Conservation Area? FM: There is room for further development in Ngorongoro, although we have not yet conducted a comprehensive study to know how much of tourism that we need to develop. This is what majority of the stakeholders feels. They perceive the crater to be the most precious part of NCA and any physical development around the crater will further damage the scenery and visitor experiences. It is therefore important to diversify and invest elsewhere. There are two other volcanic craters: Olmoti and Empaka where there are no roads at the moment. We have other areas that are wider than Ngorongoro but very beautiful and natural, we have Oldupai Gorge where there is still room for some development. So we want a unified strategy to identify other areas order than Ngorongoro where we can push tourism physical investments, that has to be consistent with protection of nature and the high value kind of tourism we have in the Area. That’s a long term strategy that would ease the tension along the main crater. TI: Are you looking for high-end type of lodges only, like 5 stars? FM: Any type of investment is welcome as long as it is consistent with nature conservation and comfort. So any kind of sustainable tourism can be allowed in areas that are less developed. TI: Tanzania is gaining global attention as an investment destination of choice thanks to the recent large discoveries of natural gas. What makes tourism still a crucial industry for Tanzania? FM: Gas and oil prices move up and down depending on the supply elsewhere but you cannot create the natural environment that we have in Tanzania. The tourism offer in Tanzania, particularly wildlife tourism, cannot be compared with any other country on earth. I still feel that the income that we receive from tourism is not optimal and can be increased through careful planning. So I still feel the government has to plan better, develop better sustainable tourism because comparatively we are better than any country on earth.